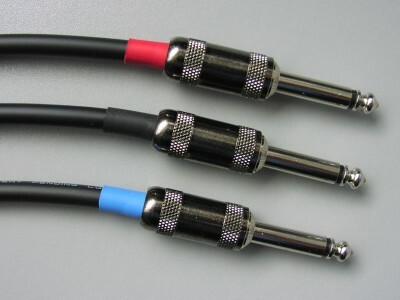 Stompin-Ground.com Mogami - G&H VLP Patch Cable <img src="https://stompin-ground.com/pics/made-in-usa.jpg" alt="Made in USA" /> <b>G&H VLP (Very Low Profile) Right Angle Plugs</b> Photo 1: Patch cable with 2 right angle plugs. Photo 2: Much narrower than Switchcraft 228. Photo 3: Slightly lower profile than a Switchcraft 228 pan style plug. Photo 4: Very low profile compared to others. Photo 5: Small compact design. 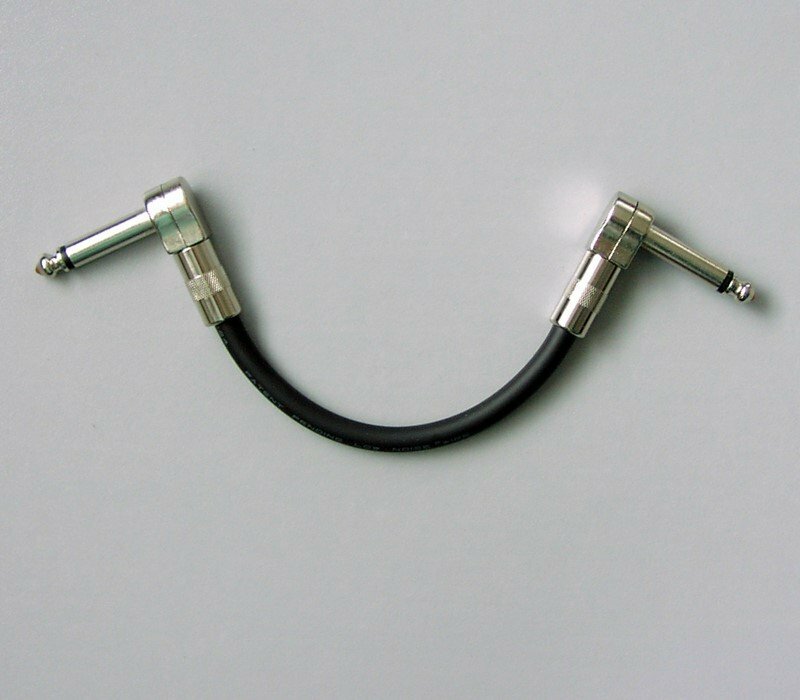 Photo 1: Patch cable with 2 right angle plugs. Photo 2: Much narrower than Switchcraft 228. Photo 3: Slightly lower profile than a Switchcraft 228 pan style plug. Photo 4: Very low profile compared to others. Photo 5: Small compact design. We use the world famous Mogami 2524 for the best sound. 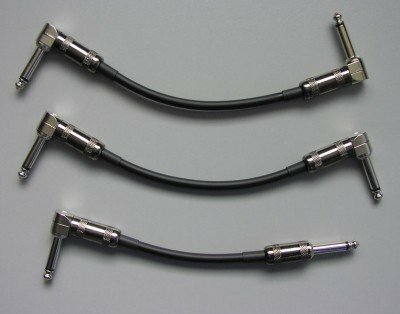 This is their premier full size instrument cable used on more stages and in more studios than any other cable in the world. 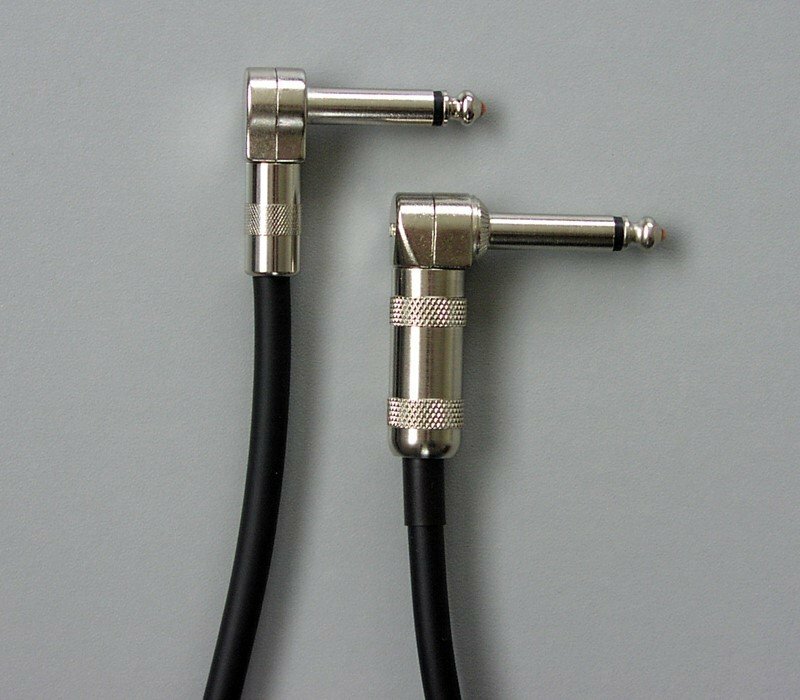 Pictured below are some stock photos of our original patch cables for reference. These patch cables will look slightly different however they are all measured the same way. The typical tolerance for the measured length is (-0.0 / +0.5″). Therefore a 12 inch cable would be about 12.0″ to 12.5″ long measured as in the descriptions below. Metric Length Conversion: cm / 2.54 = inches. Right angle plugs are measured from the center of each plug as shown. Therefore a combination of right angle and straight plugs would be measured from the center of the right angle to the shoulder of the straight plug as shown. 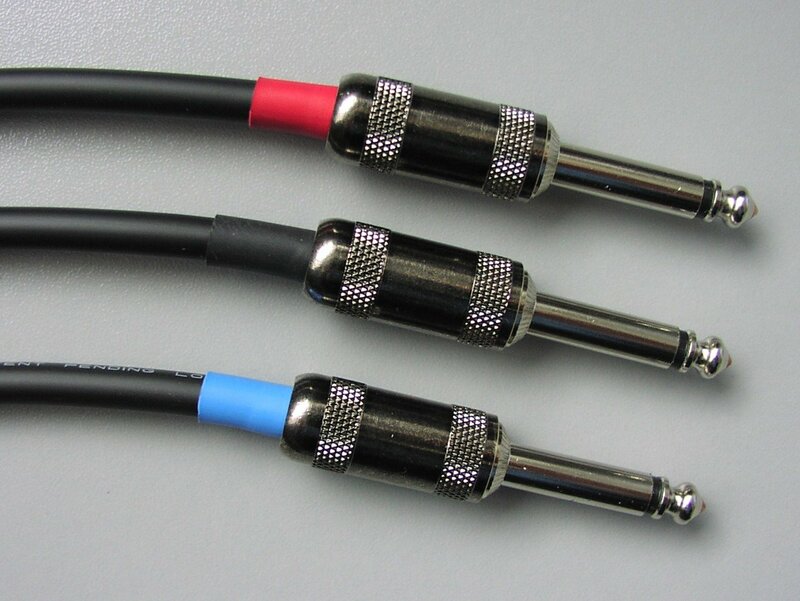 Pictured here is a stock photo of our original patch cables for reference. These patch cables will look slightly different however we can orientate plugs the same way. One of the options is to have an “opposing/asymmetrical/S-shape” right angle plug configuration. 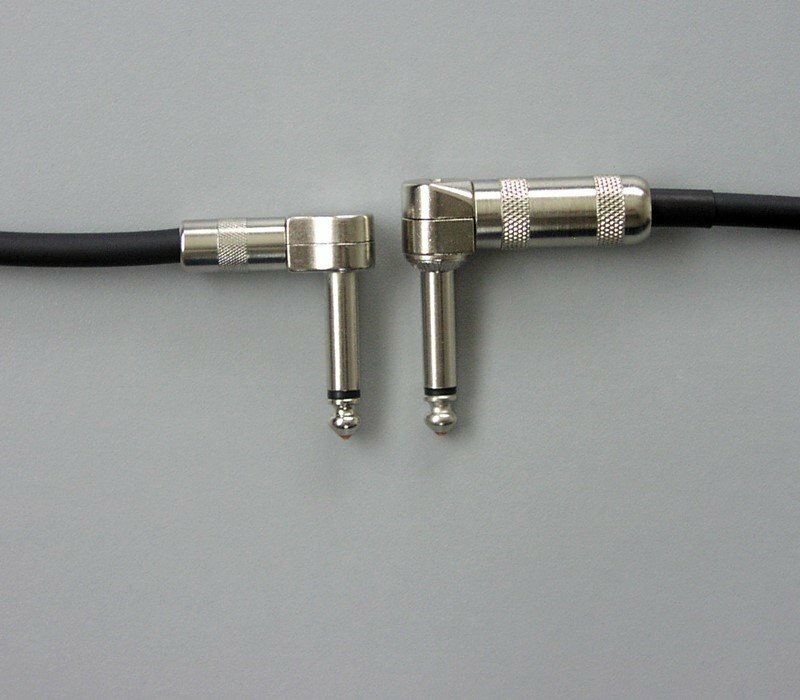 The right angled plugs can be orientated in the opposite direction along the length of the cable, viewed when the cable is laying in a straight line. In some situations, opposing right angles let you avoid having to twist it into position. Please study this option carefully to avoid any confusion. Top: Opposing “S” plug configuration. Center: Standard right angle configuration. Bottom: One right angle and one straight plug. Right angle orientation is insignificant when one end is straight. The VLP right angle plugs are nickel plated and have a nickel plated housing. If ordering with straight plugs, we will use the G&H nickel short frame "Stubby" plug pictured here. Both styles are basically the original G&H BigFoot plugs but they has just been scaled down internally. They definitely have the same great sound and reliability. The G&H BigFoot series “Show Savers” are designed and manufactured to be the most reliable in the industry and feature “Copper Core” technology. This means no loose grounds or broken tips while getting the highest fidelity signal. These distinctive plugs with the “copper tip” are the best in the world. They will spare you the embarrassment, time and cost of having to make repairs to your audio system due to plug failure. That translates into lasting value. You can be assured of many years of fail-safe operation. 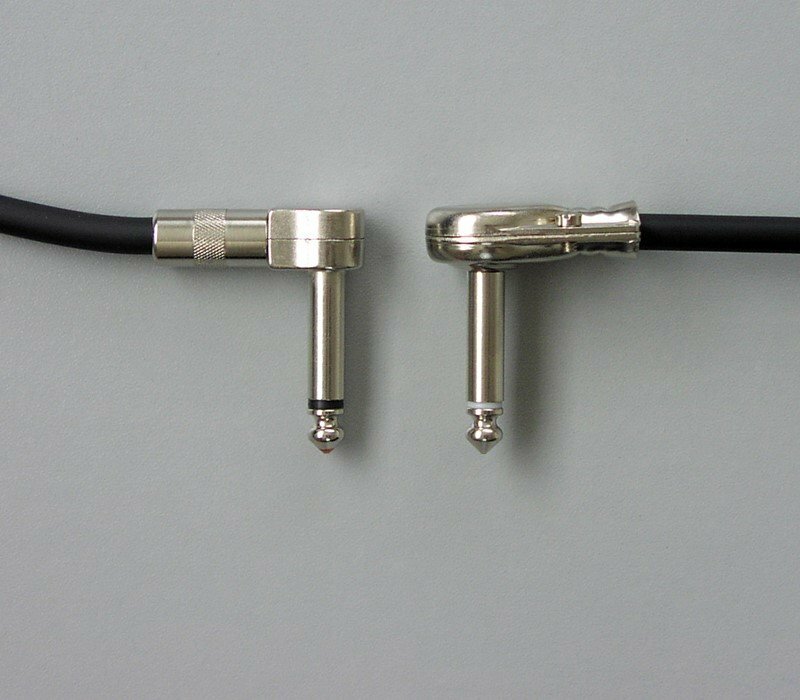 When using the full size Mogami 2524 cable with the right angle VLP plugs, there is not any need nor any room for shrink tubing under the housing. Black strain relief will be used under the straight Stubby plug housings as they have a larger exit hole size. We can accomodate color coding with different colors if necessary so just let us know. Beauty is in the details… And you will find beauty in every aspect of the sound, form and function of these excellent cables. We invested numerous hours testing many of the top quality cables and connectors for the best electrical properties, physical construction and sound quality. 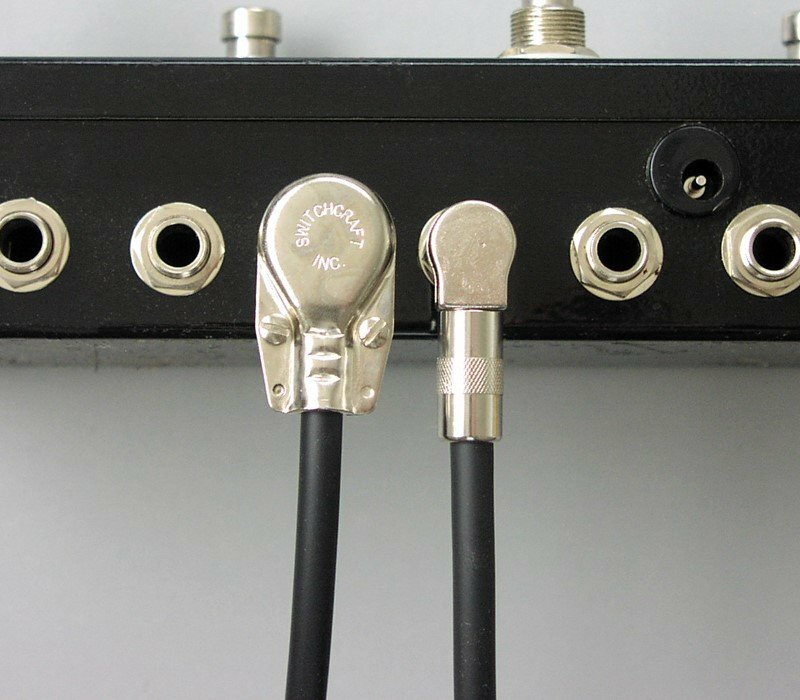 We undoubtedly found the best combination of plugs and cable hand soldered together with premium silver based solder to suit professional pedalboard applications. Just choose your cable, length, plugs and some options and you’ll have the best custom cables. It’s that easy! 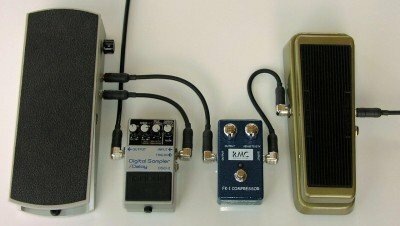 The photo above shows a few cables plugged into some effects. The signal goes from Guitar > Wah > 9″ RR Cable > Compressor > 9″ RS Cable > Volume Pedal > 7″ RS Cable > Digital Delay > Amp. 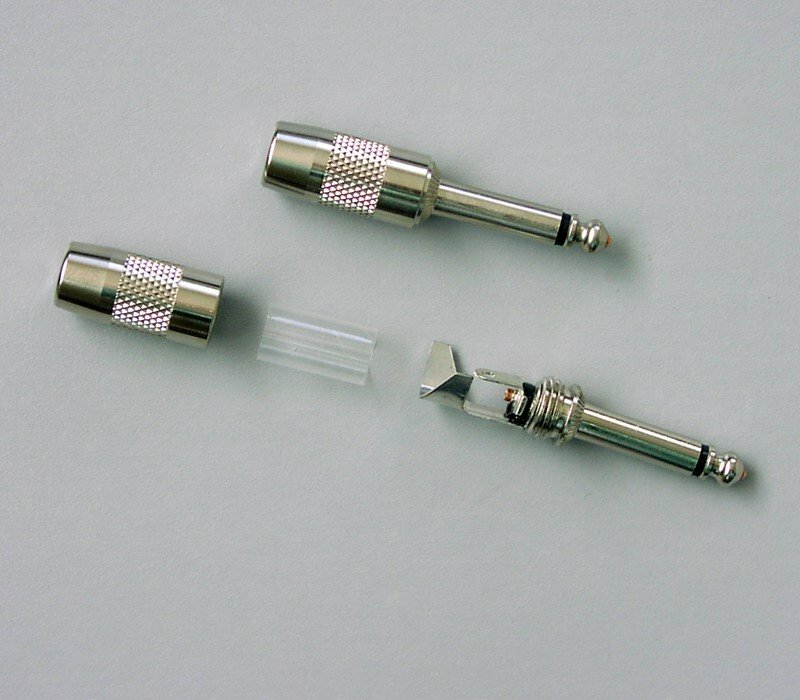 When measuring for your pedals, keep in mind the metal handle of the plug does not flex as shown above. Forget the hype, we’re offering the finest pedalboard effects cables for the real world. G&H Plug Comparison: Read about the difference between G&H plugs and others. See why the “Show Saver” plugs are the Best Plugs in the World according to G&H. Adobe .pdf Format. They make some valid points.